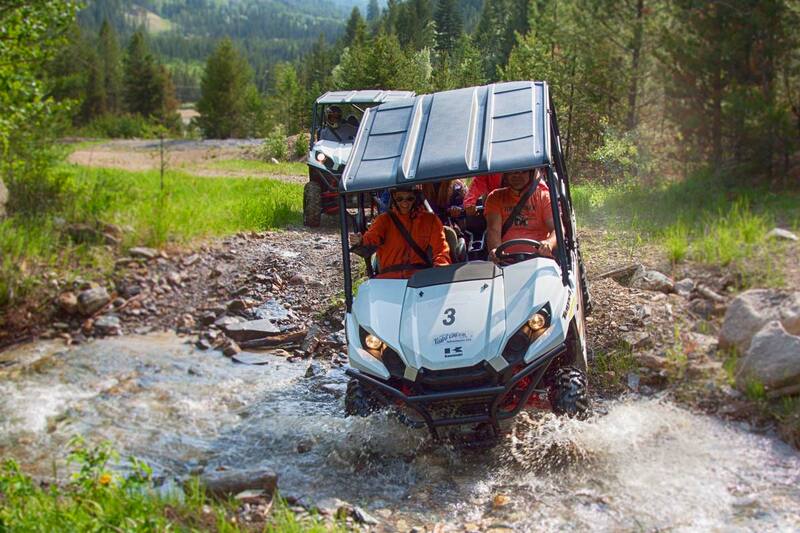 DAILY 4WD ATV/UTV TOURS MAY UNTIL OCTOBER !! 5.5+ Hrs. For advanced riders only! Our 1-Hr Intro trip with big views. 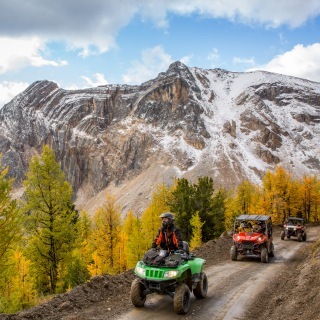 We are an award-winning snowmobile and ATV adventure tour company operating since 1996 at the western gateway to Kootenay and Banff National Parks in the Canadian Rockies. 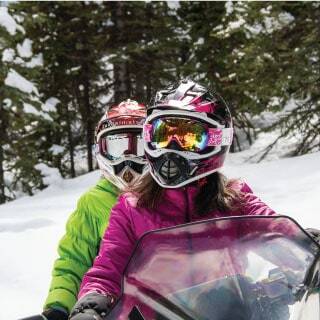 Our snowmobile and ATV tours are perfect for all levels of experience, from complete beginners to advanced riders. We provide all the gear, equipment and instruction you will need. 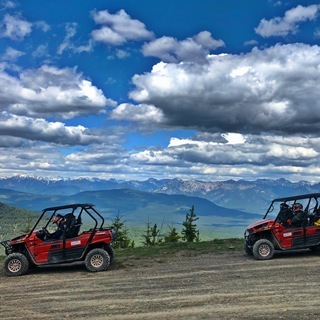 You will enjoy an exhilarating tour through old-growth forest, incredible scenery and a spectacular alpine basin surrounded by soaring rock peaks. You will see the remains of a former gold and silver mine and relax by the fireplace in our alpine cabin. We provide free guest transport from all major hotels in Banff and Canmore. 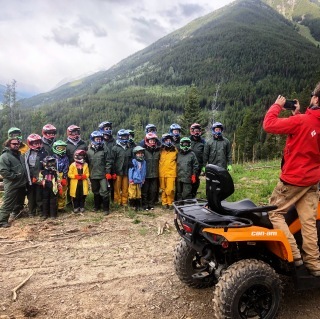 This is the real Canadian experience of a lifetime, which you will never forget. 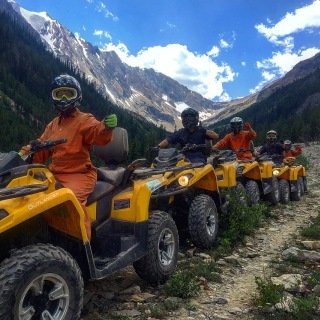 Many of our guests tell us this experience was the highlight of their Canadian Rockies vacation. Very good snowmobile tour with a very nice tourist guide.Mathews was amazing.